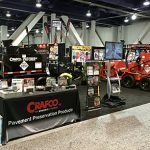 Chandler-based Crafco Inc. has launched its annual fundraising campaign, partnering with Valley of the Sun United Way. The 2018-2019 headquarters’ initiative will raise money for United Way and its charitable programs. Additionally, Crafco will sponsor a local Title I elementary school and collect items for the school’s food pantry and weekend food program. Crafco’s other 22 locations nationwide will join the campaign, donating their assistance to their local United Way. A longtime pillar of Chandler, AZ, Crafco began this campaign 20 years ago as a way to help people in the local community. Each October, the Crafco-United Way team organizes fun, themed events to inspire participation companywide. Staff can give financially or volunteer through the United Way. They also can be part of the local school philanthropy. Crafco sponsors a different classroom every year, providing school supplies and personal items to every child. The drive concludes in late November with a company feast, along with a raffle that augments donations. 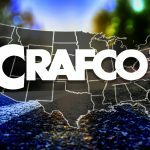 Crafco furthers its support by adding a 30% match to all employee pledges. 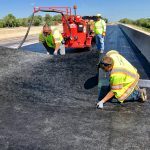 “Valley of the Sun United Way appreciates the long-standing partnership with Crafco in the fight to break the cycle of poverty in Maricopa County. We couldn’t do this without such great partners,” said Eric Caruth, VP, Corporate & Foundation Relations, VSUW. Since 1925, Valley of the Sun United Way has unified diverse partners, donors, business supporters, nonprofits, and government and faith-based communities to build a stronger Phoenix Valley. United Way and its 90,000 donors, 400 business supporters, and 5,000 volunteers fight to break the cycle of poverty by ensuring children and youth succeed, ending hunger and homelessness, and increasing the financial stability of families. To learn more about Valley of the Sun United Way, visit vsuw.org.